I have two questions related to my soil sample test results. One is on phosphorus and potassium index results. I have read and heard differing answers. My soil sample index results range from 29 to 85. Some sources suggest that around 100 is ideal for P and K. Others say that less is OK. What are your thoughts? If you think I should add, do you know where I can find out the application rates? Maybe it’s on the bag of supplement? Should I do this now or wait till the field is plowed? The other question is on when to add lime. I use pelletized lime and I understand that it takes longer to break down. My intuition says to put it out now (prior to plowing) but the agent told me to just put it out when I plow up the field – which won’t be till mid- late March. What do you think? On the soil indexes I usually try to stay above 50. Since many organic supplements release their full fertilizer value slowly, it is not a problem to aim for an index value higher than 50 if you will be farming this same land for several years. Table one on page two at the NCDA Soil Lab site says that there is generally no response for fertilizer additions above an index of 50. For indices between 25 and 50 crops will have a declining response as you move closer to 50. Since P and K do not move much in the soil once they are applied, the only problem with going over 50 is the expense this year compared to later. Organic growers starting to build up a field need to meet the plant needs for this season but they are also building reserves for future years. An organic supplement like clay phosphate releases a percentage of P immediately (that’s the number on the bag- the “available” P) but it releases more over several years. Also, with supplements like Harmony you will add more P and K as you meet the N requirements around planting time. In contrast to phosphorus (P) and potassium (K) nitrogen is very mobile in the soil and so it should go on just before planting. The ideal plan is to put down P, K, and lime in the fall and N just as you plant. Heavy feeder crops may need more N through the season as a side dressing. To know how much supplement to use, look at the next line up in the soil sample test results to the recommendations for lime, P, and K. If they suggest 50 pounds per acre divide 50 by the percentage of available P on the bag. 50 pounds per acre / .05 percent available P = 1000 pounds per acre. If you are only doing one bed that is 4 X 50 feet = 200 square feet, that is about on two hundredths of an acre (200/43,560 = (roughly 1/200) so you can divide the 1,000 pounds by 200 to determine the amount you need on each bed. 1,000/200 = 5 pounds of supplement from the bag per bed (times the number of beds you intend to supplement). 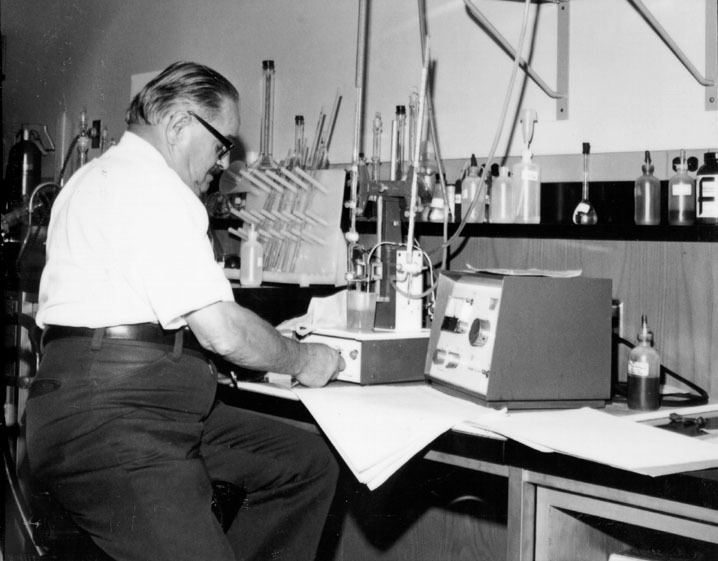 A soil scientist analyzes soil samples in a state lab in North Carolina in the 1970s. The main rule of thumb to remember is that supplements are less than 100 percent N, P or K so you need to add quite a bit more than the recommended pounds of supplement per acre. The division calculation above tells you how much more. Lime takes up to a year to fully react with the soil so the sooner the better (fall is best) on lime applications. Pelletized lime is much easier to work with but it takes longer to affect all the soil particles that are nearby. It also breaks down slower with less surface area exposed. If your pH is close to your target, I would wait until just before you plow. A few weeks may not matter much. One risk in applying any supplement a long time before tillage is that big storms can move them around on the field or wash them away completely. I usually chop supplements in with a quick tiller pass to be sure they stay in the same general vicinity. Thanks for your question and happy growing. 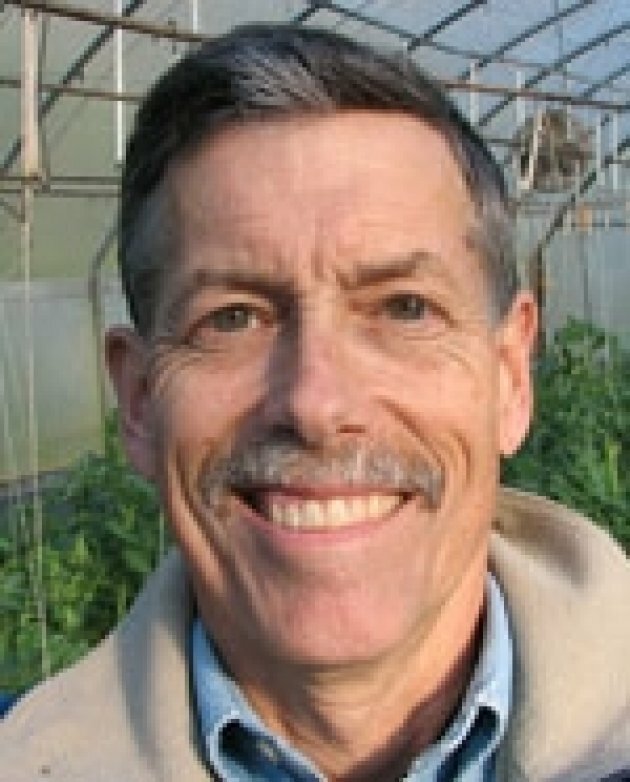 Commercial farmers: got a question for Tom? Email us!